Police have made an arrest in a deadly hit-and-run case from earlier this week. 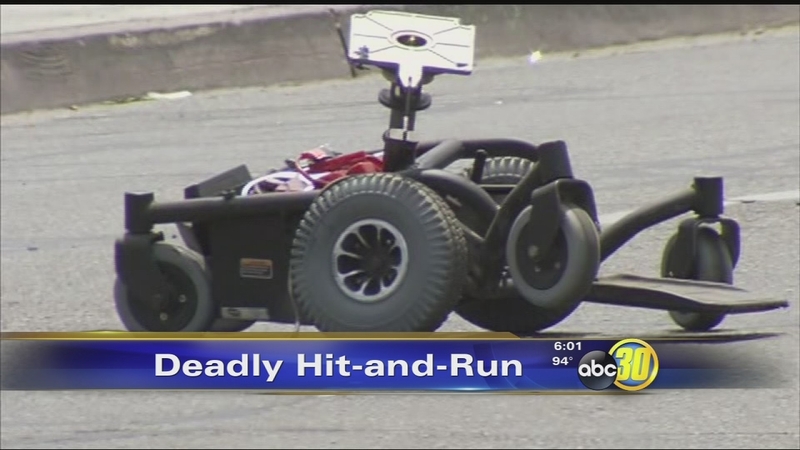 The man is suspected of hitting an elderly military veteran in a wheelchair in Central Fresno. FRESNO, Calif. (KFSN) -- There's sense of relief for the Fresno family of an elderly army veteran killed by a hit-and-run driver. On 9th street in Southeast Fresno is where a relative of 21-year-old Edgar Rueda called police to report him as the suspect in a deadly hit-and-run. Lt. Joe Gomez with the Fresno Police Department said, "There's no place the guy could go unless he left Fresno, because anybody is going to report him, even his own family." Several other relatives also called police to say Rueda was hiding his damaged pickup truck in their backyard. Fresno police say they found Rueda in a bathroom of the home where he was arrested early Thursday morning. Lt. Gomez added, "He admitted to everything. He claimed he was not racing, but he indicated he was speeding up at the time." Speeding on a stretch of Cedar Avenue near Floradora in Central Fresno Monday morning. That's when police say Rueda struck and killed 83-year-old Jose Rodriguez. The victim was crossing the street in his wheelchair. Based on skid marks left on Cedar Avenue -- police knew Rueda was speeding. Lt. Gomez said, "It was clear he saw him, but just couldn't stop. Going way to fast at the time." Rodriguez's family says he leaves behind dozens of grandchildren and great grandchildren. Action news has learned Rueda was arrested in March for reckless driving and police say another reckless driving charge came just last month. "Additional information on this, and not surprising, in early June he was on the Blackstone cruise and he was reckless driving there," explained Lt. Gomez. "Officers stopped him and towed that same vehicle. He was arrested and booked for reckless driving that same night also." Rodriguez's family is still trying to raise money to have him buried in Arizona near his late wife. 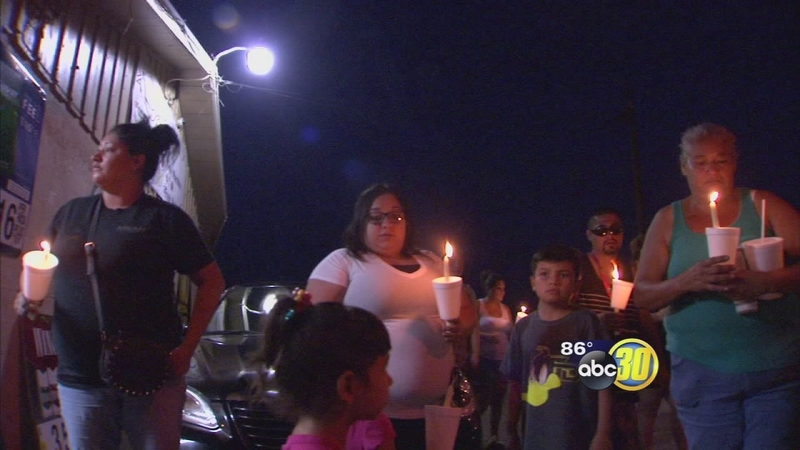 Rueda is facing three felony charges including vehicular manslaughter and hit-and-run. Detectives say the suspect, had to have seen 83-year-old Jose Rodriguez before the impact because of the trail of skid marks left behind. Family members identify the victim in a deadly hit-and-run crash as Army Veteran Jose Rodriguez, 83. 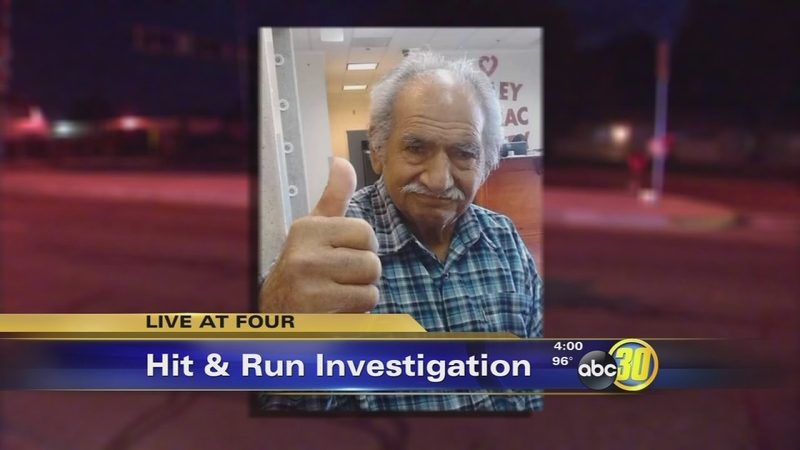 The Fresno Police Department is searching for a hit-and-run driver who killed an 83-year-old man. The victim was crossing the street in a wheelchair.